StopMedicineAbuse.org featured the Pledge for Life Partnership on a blog post entitled, “7 Examples of Community Prevention Efforts from the 2017 CADCA Dose of Prevention Award Winner”. The Pledge for Life Partnership was awarded the Dose of Prevention Award by the Community Anti-Drug Coalitions of America (CADCA) and the Consumer Healthcare Products Association (CHPA) for their diverse strategies to support medicine safety. 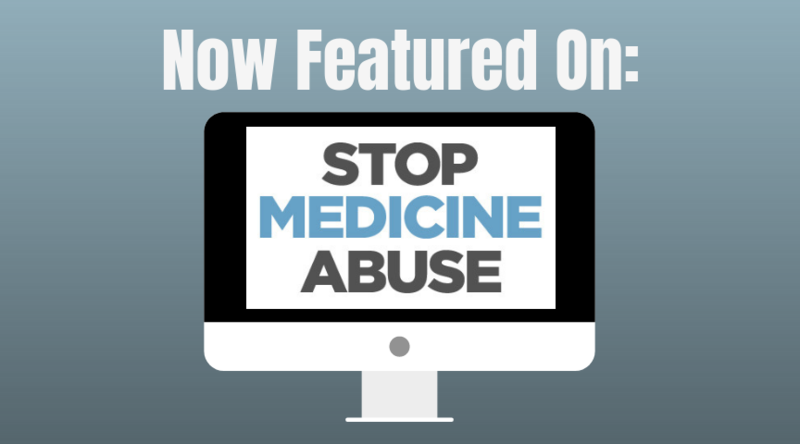 Thank you to Stop Medicine Abuse for your support!